‘the powerful cpu and the large amount of ram enable usages forbidden by the low power of the RPI3. 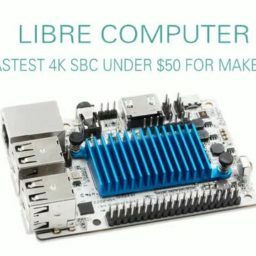 The cpu is a Quad 64-bit ARM Cortex-A53 CPU + ARM Mali-450 GPU it will need a active CPU cooling , which is provided in the 65$ option. They justify this decision because of a lengthy certification process.